I'm a huge fan of the old fashion game of Battleship. I use to spend hours playing against my friends, always searching for their elusive Battleship. Needless to say I was excited to discover the GT Warship application, an online mobile version of the popular game. While the game is free, there is a relatively inexpensive $12.00 a year for access to the Golden Thumbs network. But, with a realistic type gameplay setup, online player support and an overall cheap cost, this is a game to get addicted to. The graphics found on GT Warship are nothing to write home about. In fact they almost appear "lazy" on the developers part. The blue background on the display feels "matted" and the ships are true to form but offer no type of shading that would give them more of a "3D look." The squares on the board also don't feel like the original with a bulky outer bordering. One aspect of the games graphics that I did enjoy occurred when I hit a ship or even missed one. You can see on the screenshot above that fire ensues with direct hits, while water splashing shows where you missed a shot. The game also shows where your ships have been hit. This makes it very simple to see where your successes has occurred. The game also offers a simple red target crosshair line that makes it simple to perform your shots. Game board setup was also easy to achieve; users just take a moment to move their ships into place. 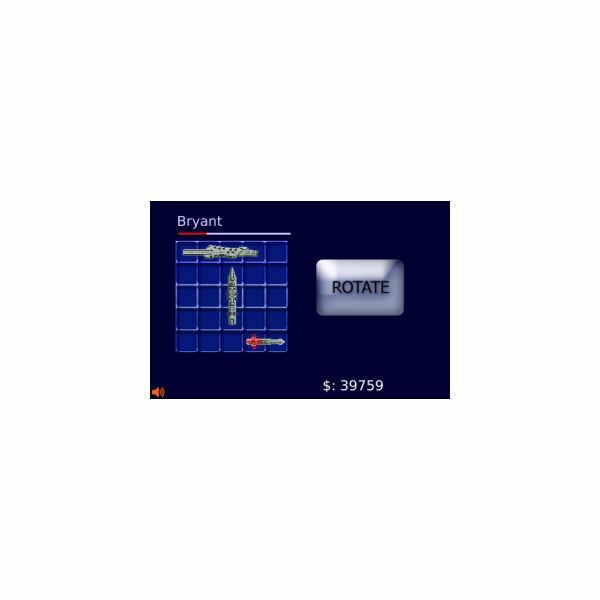 The ships all start via the horizontal placement option, however hitting the large "rotate" button will turn them vertically. Just place all of your ships and wait for your online opponent to do the same and the game starts. I did find that the sound effects were pretty awful, it was like a bad version of Pacman on an old 8 bit system, thankfully the sounds can easily be turned off. I also don't like that the game doesn't offer WiFi support, although gameplay is very quick over even Edge service. 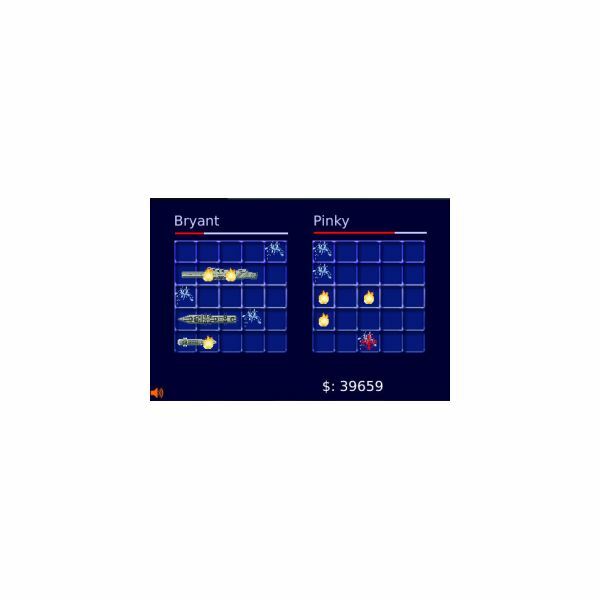 Finally, users who can sink their opponents ships in the least amount of moves with fewer misses can rack up high scores which then display on the programs "Today's Top 10 List." 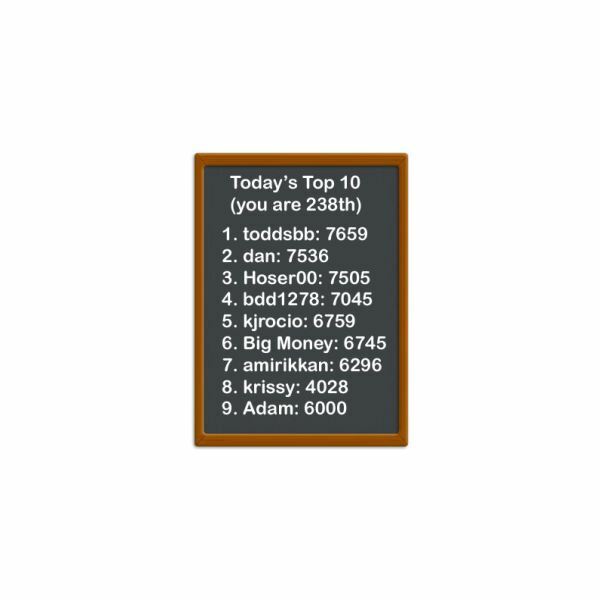 Even if you don't fall in the top 10 though it still displays your placement, even if for instance you rank 290th. I've spent much of the last week playing Blackberry Games and I have to admit this was one of the games I kept coming back to when I wanted to escape the tedious testing of other games. I love my Golden Thumbs membership and the online gameplay it offers. I also appreciated that the game was intuitive even if the graphics were rather rudimentary. GT Warship is free to download and with an inexpensive $12.00 annual membership, it offers hours of excellent gameplay against players from around the world. Give it a download and try it today via the Blackberry App World. You won't be disappointed.